Skin cancer is, without a doubt, the most common type of cancer, affecting people of all skin types. Approximately one million Americans are diagnosed with the disease each year, and one in five people will develop the disease at some point in their lives. 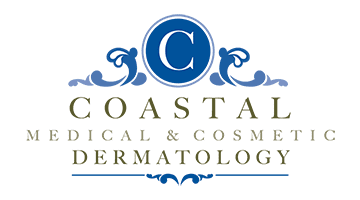 Board-certified dermatologist Dr. Darrell Gonzales is a skin cancer expert who provides comprehensive skin cancer screenings as well as comprehensive treatment options at Coastal Medical & Cosmetic Dermatology in San Diego, La Jolla, and Chula Vista, California. To learn more, call or book your appointment online today. About 58 million Americans have an actinic keratosis (AK), or a rough skin patch that develops from years of sun exposure. Although most AKs remain benign, a small percentage become precancerous and then progress to squamous cell carcinoma. AKs can be as small as a pinhead or as large as a quarter, and range in color from skin-toned to pink to reddish brown. They usually take years to develop, enlarging slowly and causing no symptoms other than their appearance. AKs are most common on the places of your body that get the most sun exposure. Because there’s no way to know which AKs will become cancerous, early diagnosis and treatment are important. What are the most common forms of skin cancer? Basal cell carcinoma (BCC) and squamous cell carcinoma (SCC), which are also referred to as nonmelanoma cancers, are the skin cancers that occur most often. BCC is the most common form of skin cancer, affecting more than four million Americans every year. The deepest part of the outermost layer of skin, or epidermis, is made up of basal cells. Any abnormal, uncontrolled growth or lesion that arises from this layer is called a BCC. Although BCC can appear anywhere, it’s most often seen in sun-exposed areas like your face, neck, ears, and scalp. BCC can be caused by cumulative exposure to ultraviolet light over time, or by briefer instances of intense exposure. More than one million Americans are diagnosed with SCC each year, making it the second most frequent type of skin cancer. Squamous cells make up the uppermost part of the epidermis. When abnormal cells arise within that layer and begin to grow uncontrollably, they cause SCC. SCC can appear on any part of your body that’s been exposed to the sun. Like BCC, it’s mainly caused by cumulative, lifetime exposure to ultraviolet light, mostly from the sun. Why is melanoma so problematic? Melanoma isn’t the most common form of skin cancer, but it’s the most dangerous: When it goes undetected, melanoma can spread quickly to other parts of your body. Although it often appears suddenly, melanoma can also evolve from an existing mole. It’s caused by unrepaired DNA damage, usually resulting from exposure to ultraviolet light. This unrepaired damage can trigger mutations in your skin cells that lead them to multiply rapidly and form cancerous tumors. Left untreated, melanoma can spread to your lymph nodes and even your internal organs, making it much more difficult to treat. Luckily, melanomas that are caught early are highly treatable. Skin cancer may be in a changing mole or an unusual-looking mole; it may also take the form of a dome-shaped growth, scaly patch, or non-healing sore. If you notice a spot on your skin that appears unusual, has changed, itches, or bleeds, come in and see Dr. Gonzales.